“I am not unfamiliar with the claim that if only we had a sufficient Military Establishment no one would ever molest us. I know of no nation in history that has ever been able to attain that position. I see no reason to expect that we could be the exception. Although I believe thoroughly in adequate military preparations, what I am trying to argue is that they are not sufficient unto themselves. I do not believe the American Navy can succeed if it represents mere naked force. I want to see it represent much more than that. We must place it on a much higher plane. We must make it an instrument of righteousness. If we are to promote peace on earth, we must have a great deal more than the power of the sword. 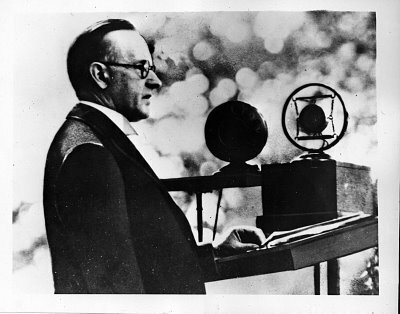 We must call into action the spiritual and moral forces of mankind” — Calvin Coolidge, Address at the Naval Academy graduation, June 3, 1925. “Much may be hoped for from the earnest studies of those who advocate the outlawing of aggressive war. But all these plans and preparations, these treaties and covenants, will not of themselves be adequate. One of the greatest dangers to peace lies in the economic pressure to which people find themselves subjected. One of the most practical things to be done in the world is to seek arrangements under which such pressure may be removed, so that opportunity may be renewed and hope may be revived. There must be some assurance that effort and endeavor will be followed by success and prosperity. In the making and financing of such adjustments there is not only an opportunity, but a real duty, for America to respond with her counsel and her resources. Conditions must be provided under which people can make a living and work out of their difficulties. But there is another element, more important than all, without which there can not be the slightest hope of a permanent peace. That element lies in the heart of humanity. Unless the desire for peace be cherished there, unless this fundamental and only natural source of brotherly love be cultivated to its highest degree, all artificial efforts will be in vain. Peace will come when there is realization that only under a reign of law, based on righteousness and supported by the religious conviction of the brotherhood of man, can there be any hope of a complete and satisfying life. Parchment will fail, the sword will fail, it is only the spiritual nature of man that can be triumphant” — Inaugural Address, March 4, 1925. 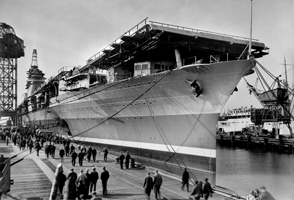 The USS Ranger (CV-4), the first to be designed and constructed from keel up as an aircraft carrier. Here it is being built in Newport News, Virginia, soon to be launched, 1933. It all started, however, thanks to President Calvin Coolidge who signed the Cruiser Act of 1929, providing for 15 light cruisers and 1 carrier to furnish the country with a more adequate preparedness to meet the challenges of modern warfare and the uncertainties of a world trusting too much on the parchment of the Kellogg-Briand Treaty. 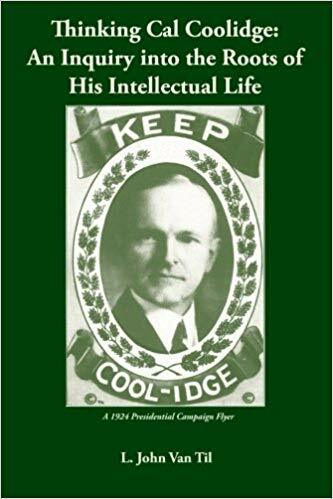 The eighteen vessels authorized by Coolidge’s signature – ten of which were commissioned by this Act – would serve America with great distinction when parchment failed and a reaffirmation of peace through spiritual strength was again needed. While most saw combat, several would be lost in battle and a number of “Coolidge’s cruisers” would stand among the most decorated vessels after World War II.